It’s been a very busy 12 months in our Engineering / R&D departments and we’re starting 2019 strong, launching total of nine new products by April. These new products will allow us to make a great reach into the controls industry, further round out the WiNG sensor offering, and add to Triad’s flooring product line up. The first ones out of the gate are our innovative Building Management System (BMS) products. 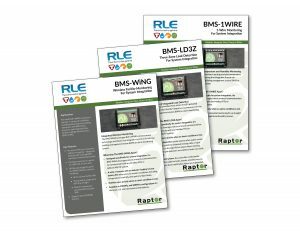 Designed to allow you to directly feed information from RLE sensors into any BMS system via protocol, these modules make our sensor technology readily accessible and seamlessly integrateable to an entirely new segment of customers. BMS products will be ready to ship in March but you can get a sneak peek at the datasheets today. Contact us now to be the first to order them.